When you hear terms such as “focus” or “get a grip”…what is the first thing that comes to your mind? 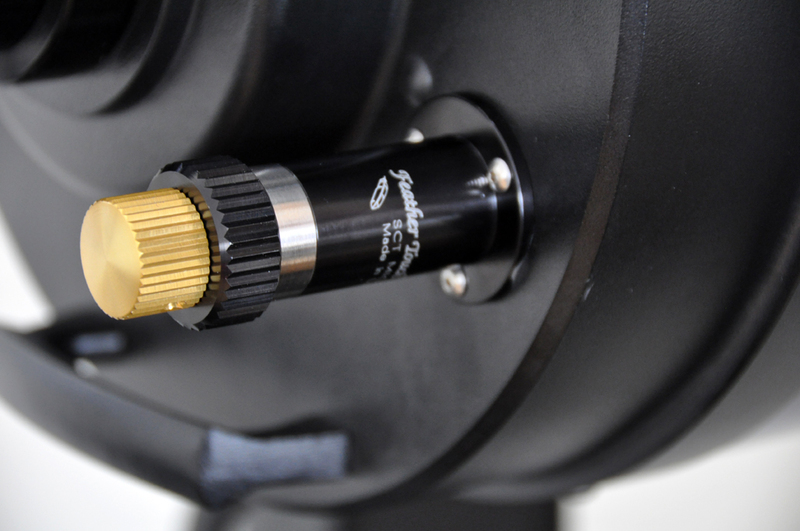 If you have been following our Winter projects, then the Feather Touch MicroFocuser/Meade LX200GPS scope upgrade would have been your first thought 🙂 We gave readers a FirstLook of Starlight Instrument’s Feather Touch MicroFocuser back in Mid-March. Today we’ll show how easy it was to install. The replacement/installation is conceptually very simple and if the instructions are followed, should only take about 15 minutes. However, if the scope is not properly “prepped,” things could go awry very quickly. The step-by-step instructions from SI were very thorough, but we have a few suggestions which may make the task even easier. As per SI’s warning, the scope must be in a HORIZONTAL position. This is to prevent the main mirror from moving forward or backward accidentally. So triple check this before loosening any screws. 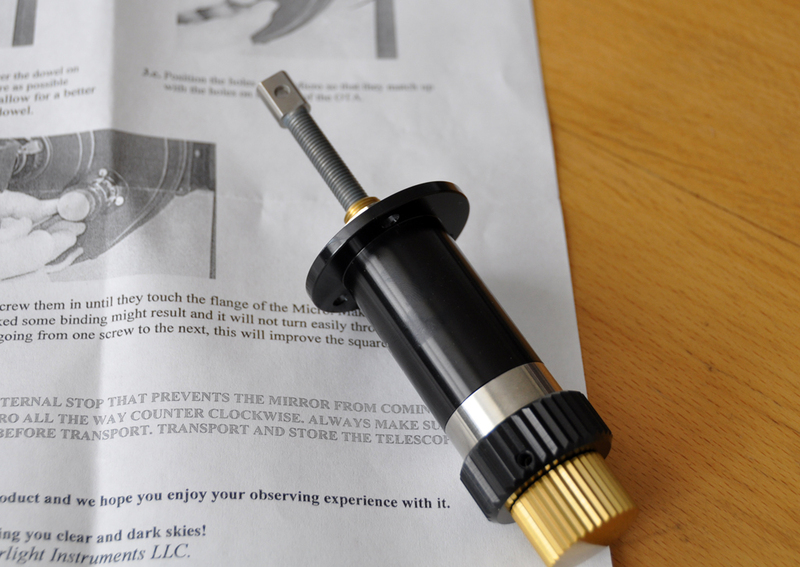 The kit came with a 5/64″ allen key. It fits, but was a bit cumbersome to use as it was too short. We had a 4″ long one which made the job of removing and replacing the screws much easier. For readers with large fingers, don’t even bother trying to use the small allen key. Go get a longer one. It will save you a lot of headaches. Once all of the screws had been removed, we followed the SI directions and had no problems freeing the OEM knob. 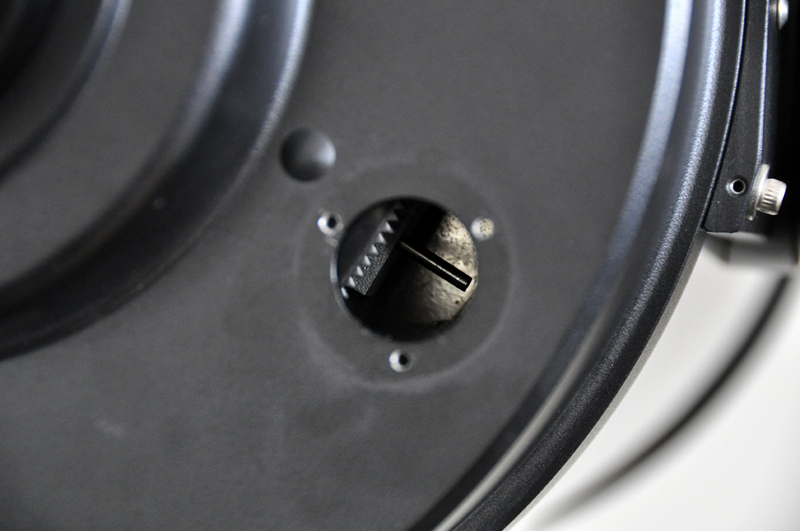 With the focus knob removed, it was easy to clearly see the dowel inside the scope. This is the dowel which must be threaded into the hole at the stem of the MicroFocuser. To ensure that the stem will reach the dowel, we extended the length of the screw of the FeatherTouch unit to match that of the one removed. As our scope was the 10″ SCT, we did not have to worry about the orientation of the fillet, but those with an 8″ SCT should take note. Installing the new focuser was just a matter of sliding the end over the dowel and replacing the screws. This step cannot be done by “feel.” You have to visually line up the hole with the dowel before you can slide it in. We found it easier to see and thread the end if we lit the inside of the scope using a flashlight. Once everything had been retightened, we played with the knob and could immediately tell that the new knob will make a huge difference in achieving critical focus. We are very happy with the quality of the unit and the ease of the upgrade. This project is within the skills of everyone and will probably be one of the most significant aftermarket upgrades you can do for your equipment. We have time to do a few more quick projects (Bob’s Knobs, laser pointer, EZ FinderII) as it is still a bit too cold at night for us to do much viewing. Once the weather warms up some we’ll be getting this scope outside to test out all of our recent upgrades. It is going to be a fun Spring!